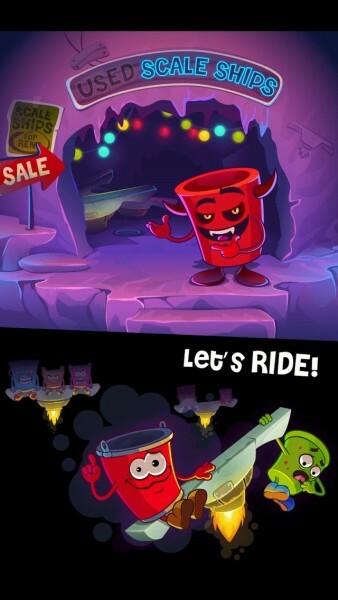 Bucketz Ride (Free) by Picnic Hippo Studios is a follow-up to the original Bucketz that launched last year. 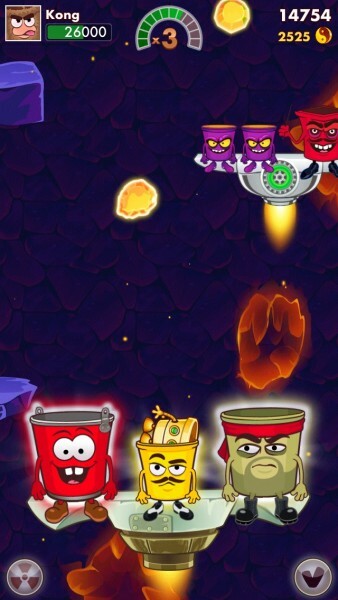 If you couldn’t get enough of this physics-based balancing game, then you will love Bucketz Ride. I remember I was totally in love with this game when it first came out. Why? It featured beautiful and cute visuals, with each bucket having their own personality and charm. The music was quirky and catchy, going along with the overall unique package. And the gameplay was the best — it’s about your reflexes, but done in a way that also requires keeping balance on the scale. I mean, you really don’t come across many games that go with this fun concept. 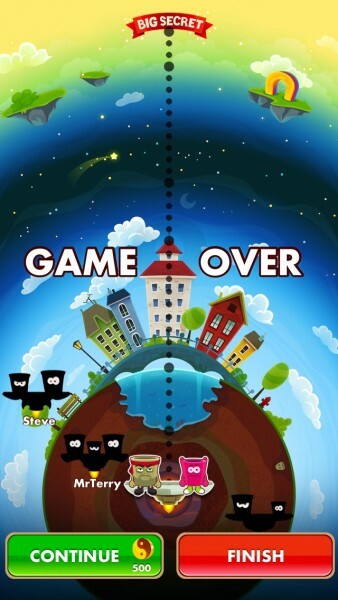 The only negative of the first Bucketz game was the fact that it was single-player only. Fortunately, Bucketz Ride is just the opposite. If you’ve played the original, then good! There’s more of the stuff that made you fall in love with the game in the first place in this sequel. But now, instead of having various levels to complete, it’s basically just a big old randomly generated level, where you must balance and survive as long as you can. 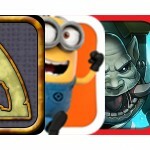 And now you are competing with friends for the best score, so it’s time to get a little cocky. 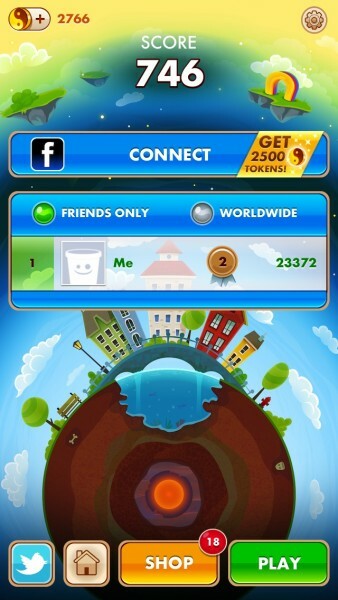 Once you get past the splash and main title screens, just tap Play to start the game. 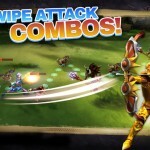 You can also visit the shop and view your Facebook or Game Center friends who are also playing the game. When you play the game for the first time, there will be tutorial messages that show up to refresh your memory on how the game works, or show you the ropes if you’re a first-time. The controls are simple, and definitely made for touch screens. 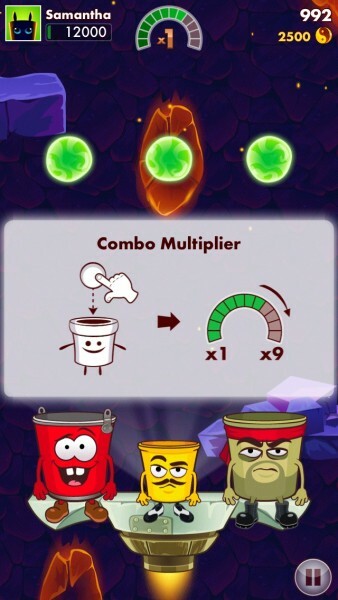 You will have several various sized buckets sitting on a “Scale Ship.” Objects will be flying all over the screen, and your job is to drag them into the bucket guys to rack up points. 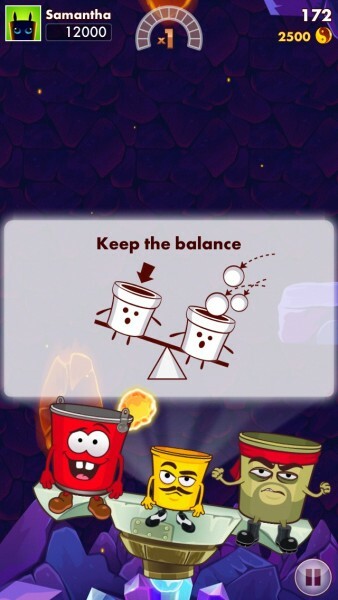 However, as one side gets heavier, you’ll have to balance it out on the other, and also watch out for objects that are bigger than buckets themselves — they’ll be crushed! To help make it a bit easier on you, there will be random power-ups that show up amidst the objects. Stopwatches will slow down time, umbrellas that protect the buckets from being crushed, and the yin yang will restore balance to your scale ship! Of course, there are also things you need to watch out for as well. To make things a bit more difficult, there will be danger items like explosives that end the game when touched, and smoke bombs that will obstruct your vision of everything for a brief amount of time. Random gift boxes will show up as well, which will reveal a surprise when tapped. These can be more objects to stash away, coins, or power-ups. 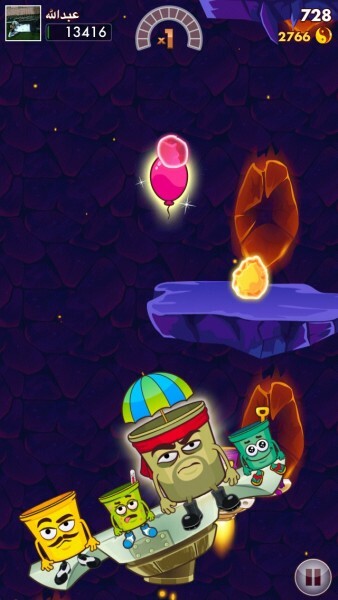 The coins are important to gather, as you’ll need them for the Shop. The game ends when your scale ship tips over. 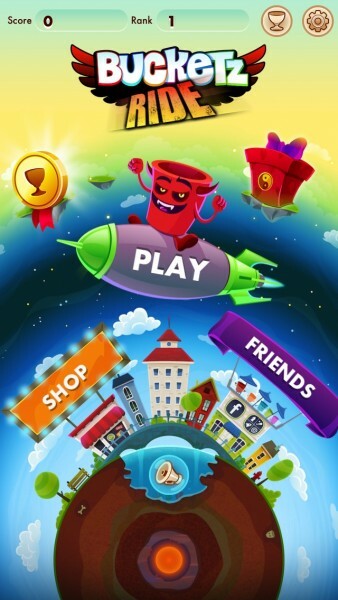 You can continue to play, but at the cost of coins. 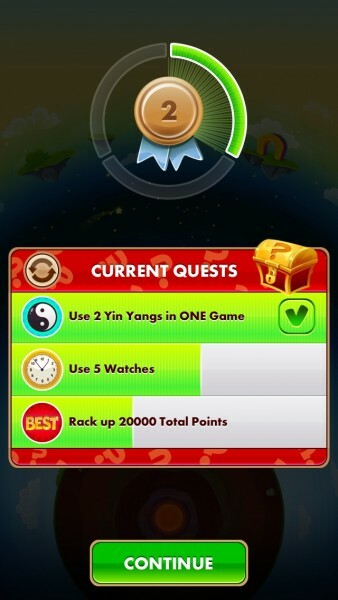 To add some spice to the game, there are also quests for you to accomplish, earning treasures. So what’s in the Shop? There’s actually quite a bit. With all of your hard earned coins, you can pimp out your scale (get better scores), get upgrades (get more power-ups more often, extend the pocket watch time, hit minions harder, etc.) and protection (see through smoke, defuse bombs, etc.). 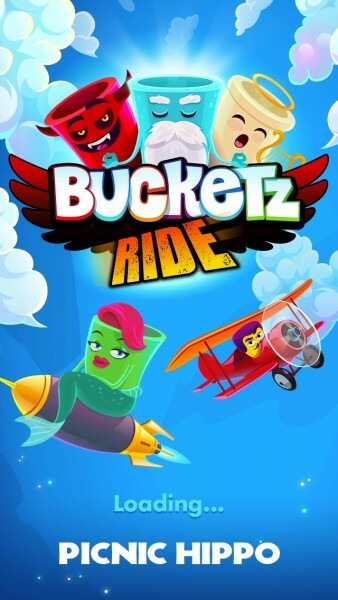 Bucketz Ride will also focus on leaderboards, with options for viewing ho you stand against your friends or across the globe. 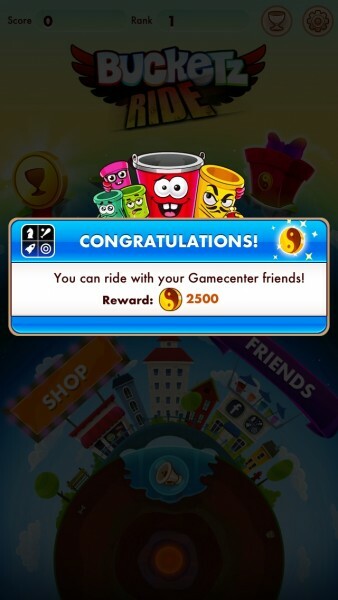 You can also earn more tokens if you connect your Facebook account, so if you’re running low on them, there’s always that option. 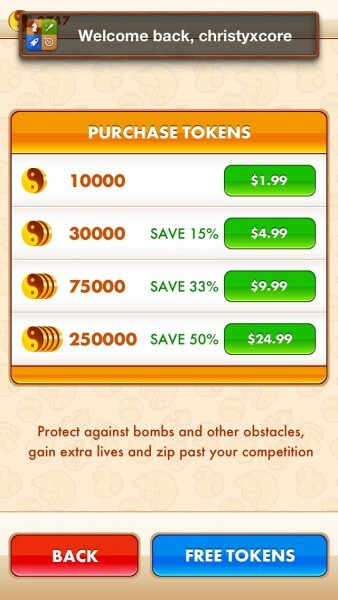 Or you can buy more with in-app purchases. 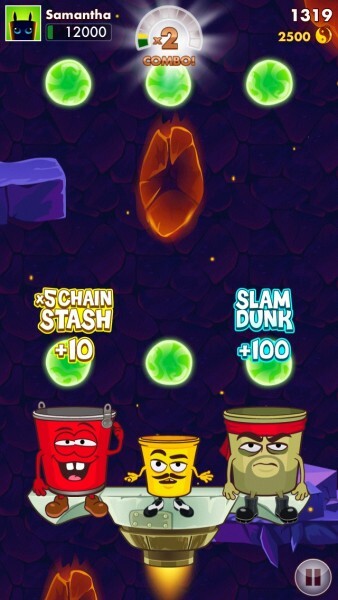 So far, I’m really enjoying Bucketz Ride. It’s visually appealing, the soundtrack is fun, and the gameplay is challenging with the mix of quick reflexes while keeping everything in balance. 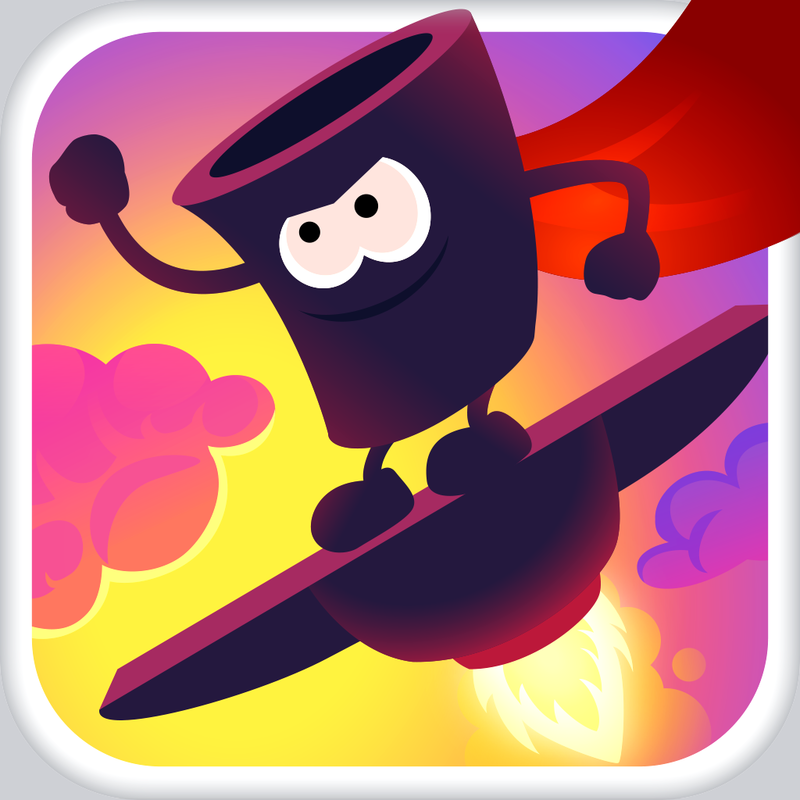 If you’re looking for a great little game to kill some time with, and appreciate a challenge, then make sure to give this one a download. 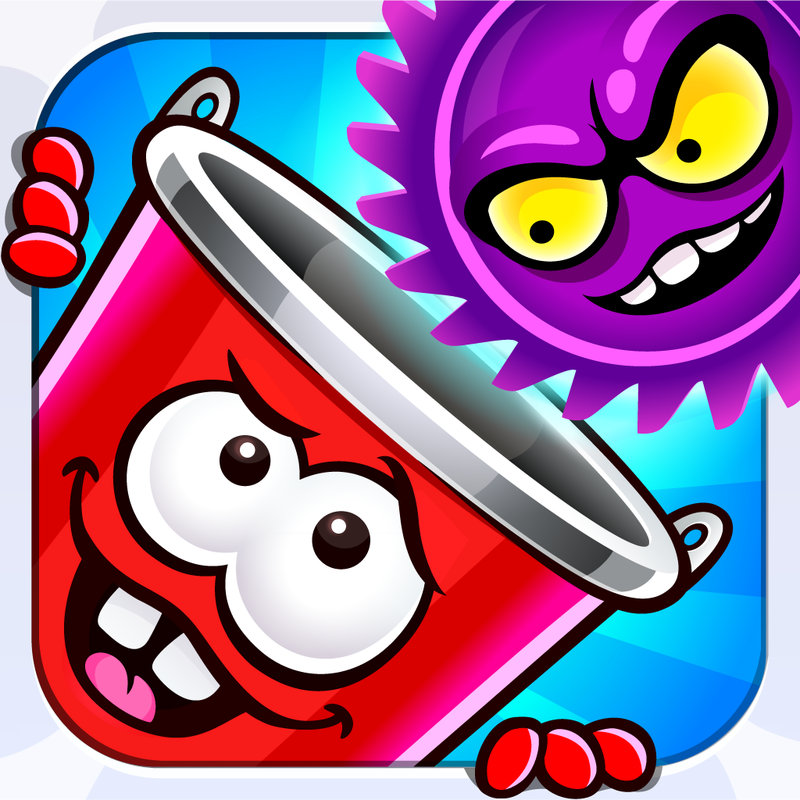 Bucketz Ride is available for free for your iPhone in the App Store. There is also a separate iPad version, Bucketz Ride HD, available for free as well.